Please contact INNER VOICES Social Issues Theatre to schedule a performance and to find out about the semester’s offerings. We encourage you to reach out to us as early as possible since we tend to be busier as the semester progresses. Programs may be modified to suit specific time and event criteria and may include workshops in addition to the set program. We encourage your input into prospective programs during preliminary contacts. We will need you to provide an open space and an audience. We will provide the rest—including animatuers (dialogue leaders), resource materials, and technical production equipment. 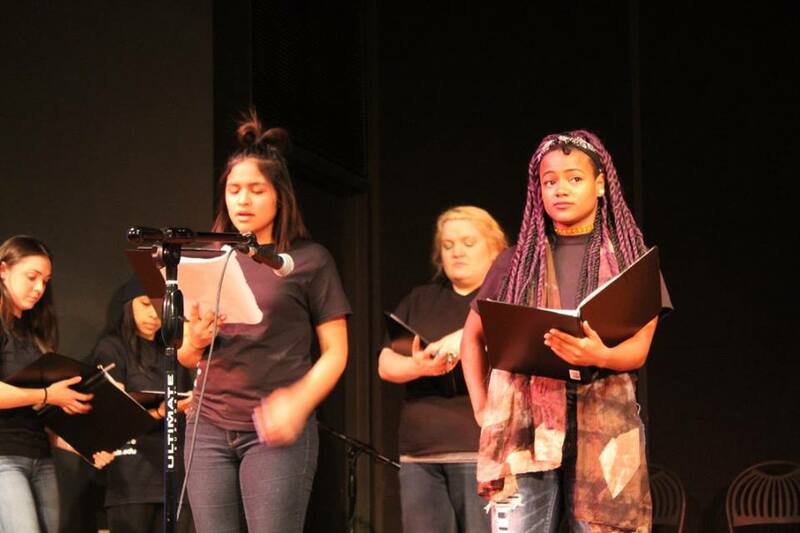 INNER VOICES Social Issues Theatre works well in a variety of situations. Past engagements have included participation in national conferences, classrooms, community celebrations and demonstrations, theatres, residence halls, town hall meetings. This isn't an exhaustive list! For program, class, performance, and audition information, please contact program coordinator Lisa Fay by email or call 217-244-0212.